The Amulet collection by Nikki Lissoni is a new, innovative concept in customisable jewellery. The collection takes motifs from Ancient Egypt and Rome, from Medieval tales and Celtic myths - to create a brand new composeable concept. Wear your Amulet by itself, or layer up with other Amulets, to create an Amulet necklace whose look and meaning resonate with you. 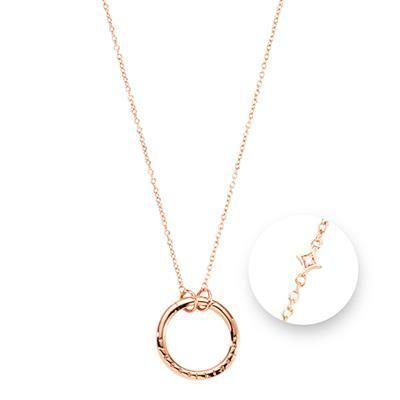 This rose gold plated Amulet necklace has an in-built carrier, and can be customised with your favourite Nikki Lissoni Amulets. With a cubic zirconia accent for subtle sparkle.